Our clients are enthusiastic supporters of Rockhurst’s unique approach to assisting them in finding success in their careers. We encourage you to call client references. 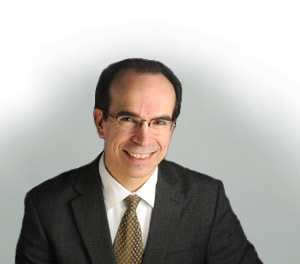 Pierre has provided career management, life coaching guidance and training in Ottawa for over fourteen years. He is client-centered and mission-driven to help others attain their full potential. Pierre has helped hundreds of individuals find their own purpose and establish greater unity in their lives and communities. Concurrent with his life coaching practice, Pierre has explored a wide range of professional environments in industry, associations, private and public sectors as a military officer, engineer, researcher, technical advisor, innovation consultant, project manager and IT expert. A graduate from the Royal Military College of Canada in Kingston with a bachelor in engineering physics, Pierre obtained his Air Navigator wings from the Canadian Forces Air Navigation School (CFANS) and served in the 80s as an aviation officer with Air Command Maritime Patrol Squadrons. He held Project Management Professional (PMP) Certification and is certified to administer and interpret psychometric assessment with the Myers Briggs Type Indicator (MBTI). Pierre’s idealism motivated him to lead the trend of innovations making information technologies more accessible and serving human requirements in training, communications and teamwork. A born researcher and problem solver, Pierre likes to undertake challenges beyond conventional wisdom. With a multidisciplinary background he has led over twenty projects including the development of Internet community networks for the Canadian Institute of Actuaries, the Chemical Institute of Canada and Natural Resources Canada human resources. Pierre’s personal mission is to assist people to become masters of their own future, especially in the management of their career lives.